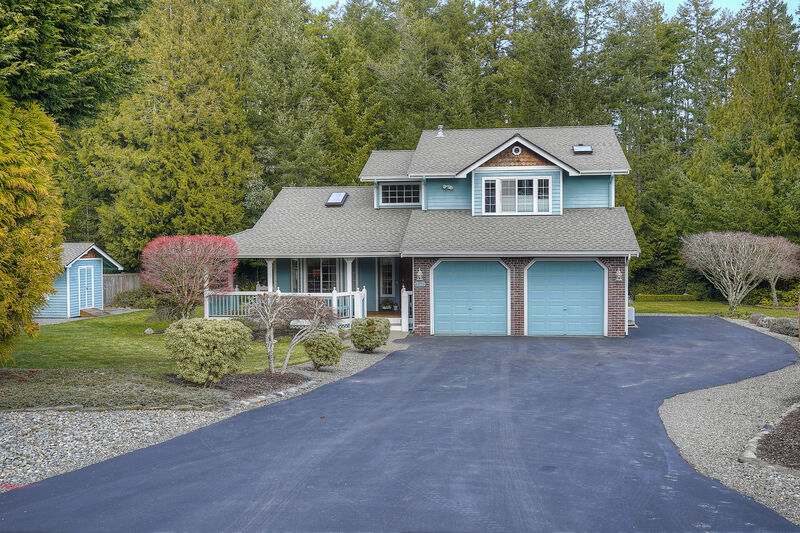 Surrounded by lush, mature greenery and showing off the Pacific Northwest’s signature natural beauty, this Port Orchard residence is an absolute joy to call home! The cheerful and inviting 1,710-square-foot layout not only includes 3 bedrooms and 2.5 baths, but lovely living spaces perfect for entertaining are also in the mix. 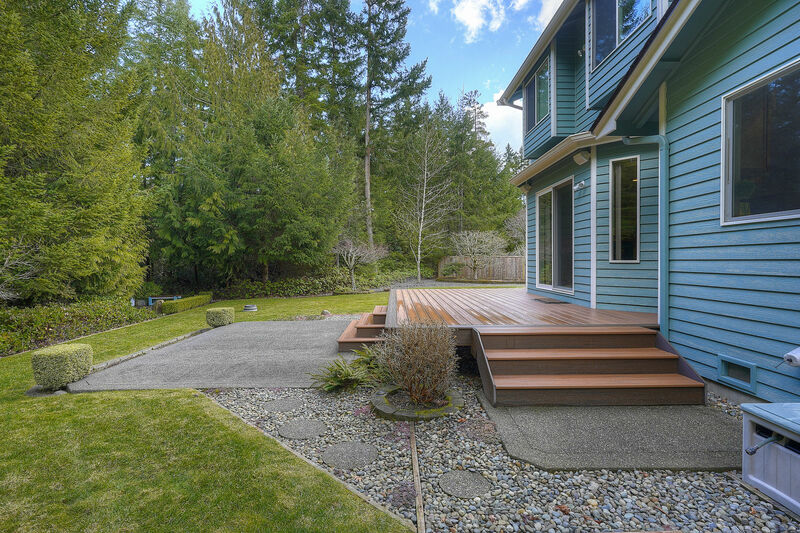 You also have a private backyard replete with top-notch outdoor amenities (like a newer Trex deck, RV parking, landscaping, and 2 garden sheds), all in a convenient Port Orchard area that’s just 12 minutes to the Southworth Ferry, 10 minutes to Highway 16, and less than 20 minutes to Bremerton. 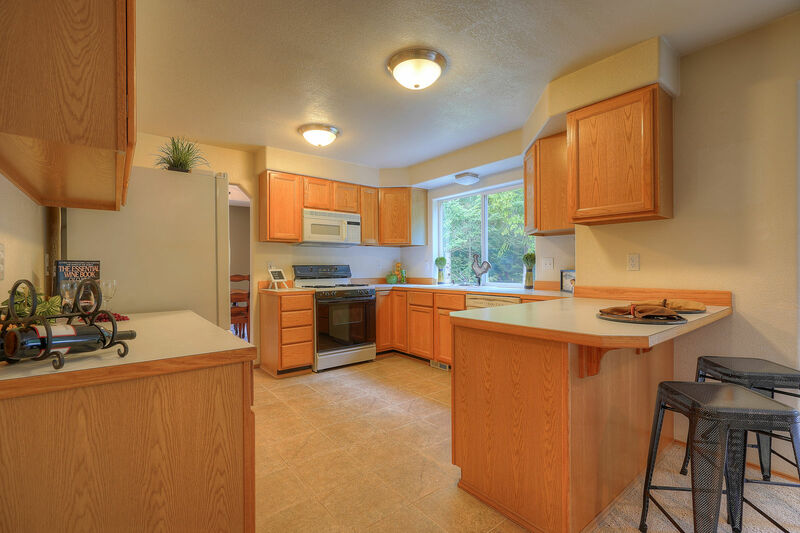 Located at 2147 Dunrobin Lane E Port Orchard, WA 98366, this move-in ready home is listed for $357,000. Treasured for 24 years by the original owner, this property has been cherished and lovingly cared for. When you pull in the extra-large driveway, this home’s classic brick-accented exterior immediately delights. Meticulously maintained and even boasting a new roof, this gem is ready for the years ahead. Before you even step inside, this home’s front porch makes for a lasting impression. A built-in bench shows off a charming perch, and you’ll find room for comfy outdoor furniture and flower baskets! Just in through the front door, the entryway welcomes you in with soaring ceilings and the formal living room. Abundant natural light pours in through a skylight in the vaulted ceiling overhead, and the open layout flows right into the formal dining room. Imagine hosting holiday gatherings and get-togethers here—years and years of good memories are sure to be in your future! The kitchen is right around the corner from the dining room, and here you’ll discover everything you need for baking marathons, meal prep days, and enjoying quality time with loved ones. A large layout means you have room to spread out in, and generous storage makes it easy to keep kitchen essentials organized. 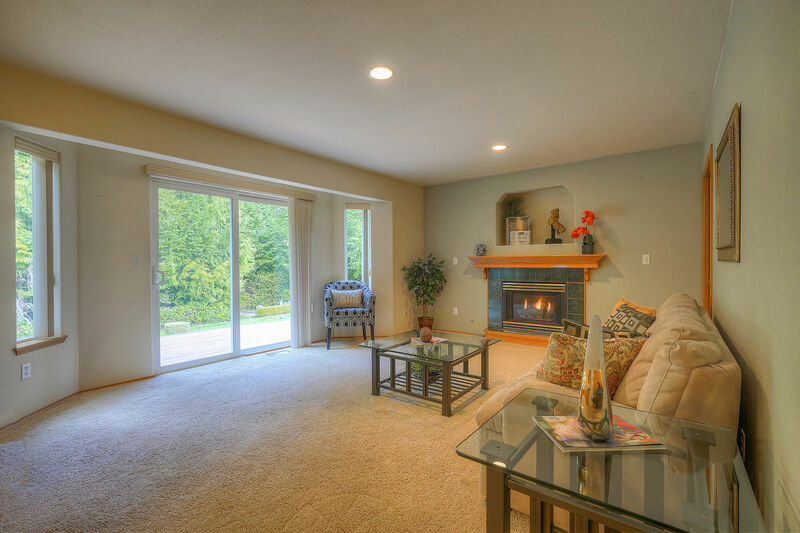 The adjoining family room is a haven of comfort and coziness, and the beautifully accented gas fireplace makes it easy to turn on the warmth with the simple flick of a switch. Sliding glass doors offer dreamy views into the scenic backyard, plus direct access onto the deck. On the upper level, 3 bedrooms await, which includes the standout master suite. 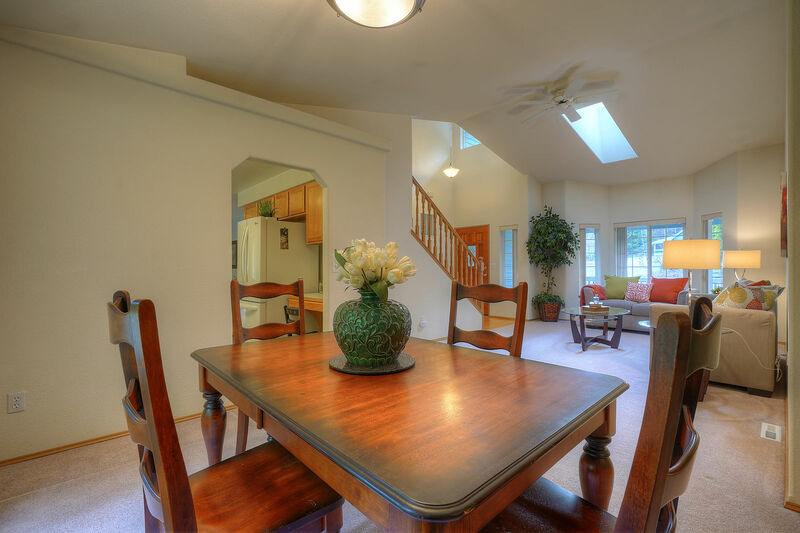 In addition to the generous square footage (with enough space for a sitting area or a desk if you should desire it! ), there’s built-in closet space and an ensuite bath for your convenience. In the backyard, outdoor bliss is all yours! Verdant greenery ensures privacy and a peaceful atmosphere, and you can take in the view while you relax and sunbathe on the Trex deck. Spend spring and summer cultivating your own fruits and veggies in raised garden beds, host barbecues on the deck and patio, roast hot dogs and s’mores around the fire pit, or toss around a football on a relaxed afternoon—there’s room for it all. Plus, 2 garden sheds and a 2-car garage provide ample storage. 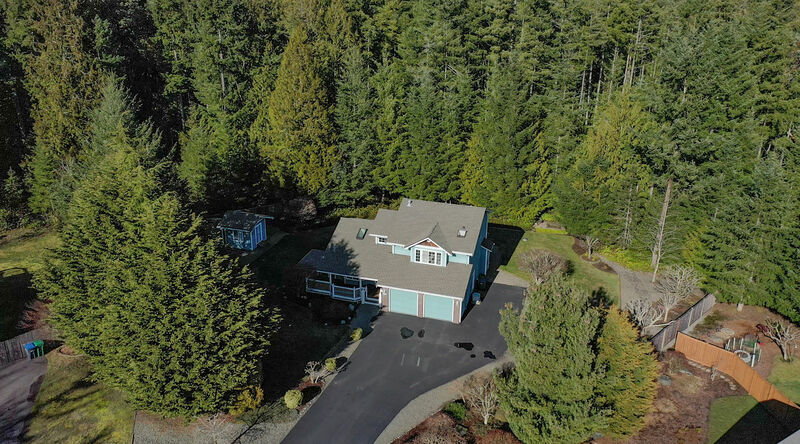 At 2147 Dunrobin Lane E Port Orchard, WA 98366, you’re only 12 minutes to the Southworth Ferry (making it easy to get to Seattle), only 10 minutes to Highway 16, and less than 20 minutes to Bremerton. Southeast Mile Hill Drive is only 5 minutes from home, and along here you’ll find grocery shopping, gyms, restaurants, services, shopping, bus lines, entertainment, and anything else you might need!